Pune 29 oct 2010 : Rhythm Wagholikar, Pune based young Author, Talk show host and Social Activist was conferred with the prestigious ‘Mahatma Gandhi Samman ‘ at the British Parliament-House of Commons by the NRI Welfare Society of India. This award is presented to 45 Indians globally, Rhythm is the Youngest Indian Recepient for it. This honor given for Keeping the Flag of India high at House Of Commons London. Former Prime Minister of India H.D. DeveGauda, Padma Vibhushan Dr.Anil Kohli and Ministers of British Parliament were the other recepients of the award. Rhythm has been writing books on legends of the art and film world. He is known for creating books in a never thought before style. His book Swarlata- Rhythmic Reminisces of Lata Didi, is the world’s first book intricately designed and printed in the shape of a gramaphone record , while is book ‘The Soul Stirring Voice Gaanasaraswati Kishori Amonkar’ is popularised for its distinctive shape of a Swarmandal. 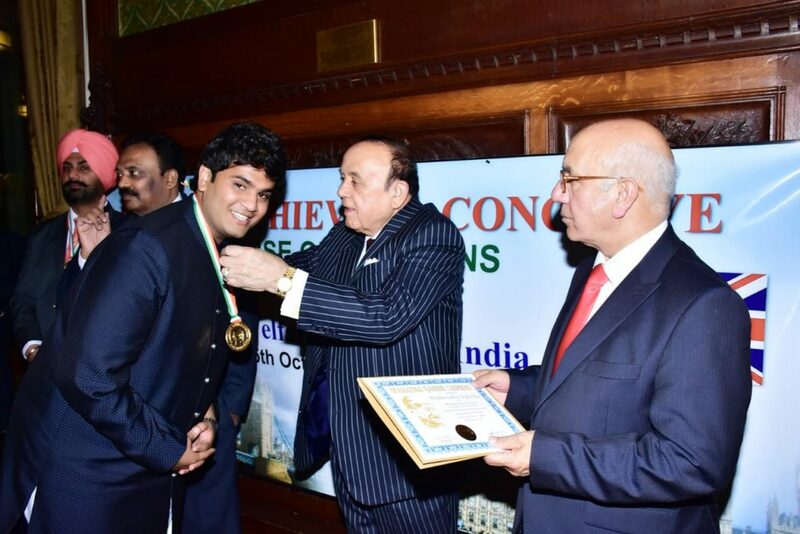 It is in recognition of contributions and dedication to worthy causes and achievements in keeping the Flag of India high at House Of commons London. Rhythm is also known for hosting talk shows on public platforms and bringing inspirational stories to people. In his Social life, He has been encouraging the awareness of reading in orphaned girls and old age home, He has also worked with Gauri Sawant, in the betterment of the abandoned girls.